The Leeds International Film Festival plays annual host to an overnight horror marathon, Night of the Dead, in which 300-ish gorehounds gather inside Leeds’ historic Hyde Park Picture House to hunker down with the latest and “greatest” in cult horror gems. 2018 marked the 18th Night of the Dead all-nighter, and it’s my 9th time attending, having become something of a yearly tradition for myself and my Uni pal/fellow sufferer Alex. The ritual is as follows; we take a bleary-eyed coach from London to Leeds, sink some beers throughout the day and then rock up to the Picture House for 10 hours of sleep-deprived insanity. It’s a festival sidebar that naturally attracts the most dedicated genre buffs and, to that end, caters with a game mix of card-carrying schlock and higher-minded, critically acclaimed fare. This year’s slate of movies proved one of the more consistent in recent years, even if it naturally wasn’t all grand. Directed by Alejandro Brugués, Ryûhei Kitamura, David Slade, Joe Dante and Mick Garris. Starring Mickey Rourke, Sarah Withers, Faly Rakotohavana, Maurice Benard, Elizabeth Reaser, Zarah Mahler, Mark Grossman, Eric Nelsen, Richard Chamberlain, Adam Godley and Annabeth Gish. Masters of Horror creator Mick Garris unites an eclectic cabal of genre filmmakers together for this inconsistent yet fitfully amusing horror anthology. While touting a rather limp frame narrative – five strangers are drawn to a cinema where they watch themselves act out their worst fears on-screen – Nightmare Cinema kicks off with a banger of a short from Juan of the Dead director Alejandro Brugués, which serves up a smart and hilariously unexpected riff on slasher tropes. For the sake of spoilers, that’s enough said. Gremlins legend Joe Dante is up next with “Mirari”, revolving around a young woman (Zarah Mahler) undergoing plastic surgery to correct her scarred face. The satirical undercurrent is biting enough and it’s suitably demented throughout, though just a little lacking when it comes to the final punch. 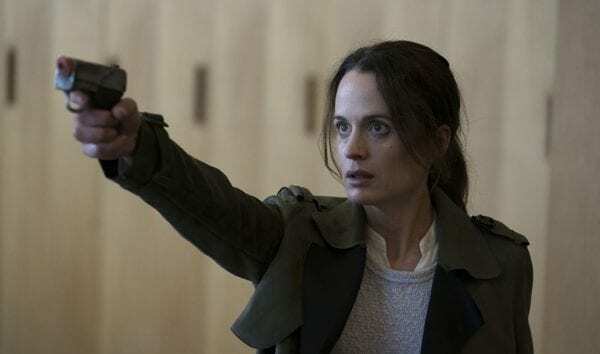 “Mashit” from Ryuhei Kitamura (Versus, the atrocious Downrange which played at last year’s NOTD) meanwhile pads out the middle with a forgettable possession excursion, before David Slade (30 Days of Night) perks things back up with “This Way to Egress”, a gorgeous monochrome descent into madness starring the ever-brilliant Elizabeth Reaser. Garris’ own segment “Dead” closes things out, though it runs far too long and is too blandly shot to be anything other than forgettable. With an excessive 119 minute run-time and only two truly good shorts among the bunch, Nightmare Cinema isn’t an immediate recommendation, though it is an easy enough sit for the genre faithful. Mickey Rourke’s occasional presence as the sepulchral projectionist is amusing if only to see how he resembles more plastic than man at this point. However, the movie’s formed whole is as inconsistent as any horror anthology ever has been. Starring Luca Villacis, Munro Chambers, Michael Ironside, Kathleen Munroe, Chenier Hundal, Krista Bridges. Home Alone collides with The Shining in this tight little effort in which 12-year-old Henry (Luca Villacis) is dropped off with his estranged grandfather Jacob (a terrific Michael Ironside) while his parents deal with a family emergency. Things take a turn for the horrid, however, with the invasive presence of Jacob’s neighbour Dixon (Munro Chambers), whose intentions aren’t quite as warm as they first seem. 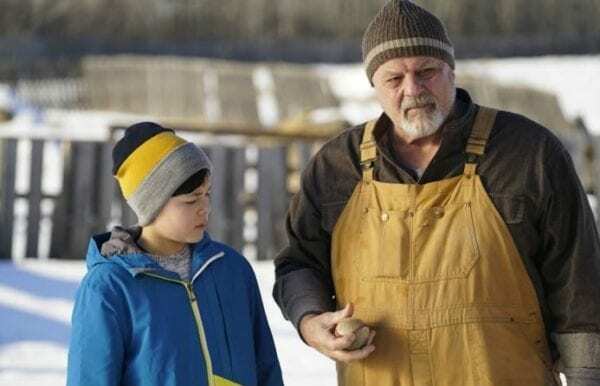 A surprisingly sharply composed effort from predominant TV and short film director Michael Peterson, Knuckleball does many things right before it even gets to the horrific main course. Firstly, the atmosphere throughout is stark and palpable thanks to shrewd shot selections and icy cinematography from Jon Thomas, impressively disguising the otherwise obviously low budget. The early star of the show is unquestionably pop-culture legend Ironside, perfectly cast as the surly grandpa and convincingly nailing some genuinely poignant, gradual bonding scenes with his screen grandson. For fans of his many decades of wonderful work, this makes the movie an easy sell upfront. Henry is eventually pushed into action once the violence kicks off, and Villacis holds the screen as an easy-to-root-for protagonist fending off a demented psychopath. Though Rob Grant’s editing feels overly busy on occasion, for the most part the set-piece coverage delivers gut-wrenching suspense, even as the film devolves into something approaching hokum with its inevitable and unnecessary third-act reveal. Knuckleball won’t be making anyone’s best-of lists this year, but with the easy appeal of its cast and confident style, it delivers rock solid thrills within a neat 89-minute window. Starring Fran Kranz, Alyson Hannigan, Brittany S. Hall, Jesse Gallegos, Patrick R. Walker, Amy Wickenheiser, Kym Canon and Bryan Price. 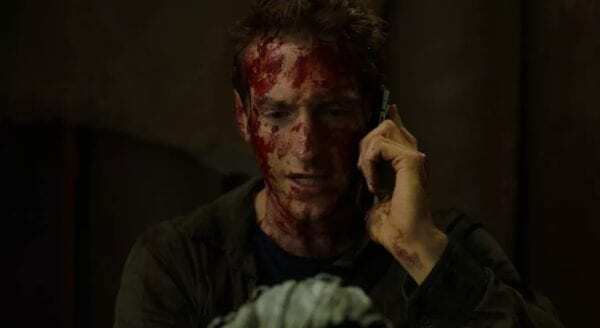 Probably better than any movie adapted from a string of tweets ever should be – yes, seriously – You Might Be the Killer knowingly casts The Cabin in the Woods‘ Fran Kranz as Sam, a camp counselor caught in the middle of a masked murderer’s killing spree. After consulting with his horror fanatic slacker pal Chuck (Alyson Hannigan), Sam comes to realise that, in fact, he might be the killer himself. It’s a giddily unique premise for a horror flick, and though the script ultimately settles for being meta without ever getting especially clever, it more often than not hits the right notes both grisly and cutesy. It’s loosely structured as Sam’s unreliable memory darts back and forth between kills he’s apparently administered. Meanwhile director Brett Simmons unfurls the mayhem with amusingly brassy title text tallying the number of dead counselors, and the kills themselves boast comically gnarly, impressively detailed gore effects. The two central performances are what truly prop the film up through its less-inspired moments, though. Kranz is an effortlessly likeable lead as you’d expect, yet it’s Hannigan who ends up stealing the show with her most charmingly peppy performance in years, despite being mostly confined to a single space. The pic arguably over-extends itself a little in the protracted finale, and a more judicious script perhaps would’ve trained its focus on a smaller, sharper pool of one-liners and references, but if you’re in the mood for a bonkers, self-aware horror-comedy, it delivers the basic goods. Starring Takayuki Hamatsu, Mao, Harumi Syuhama, Yuzuki Akiyama and Kazuaki Nagaya. Night of the Dead saved its best film for last – somewhat ill-advisedly perhaps, as it didn’t start until 6am – with Shinichiro Ueda’s dizzying, playful satire of both the horror genre and filmmaking as a whole. One Cut of the Dead opens with a transfixing 37-minute single-take sequence, where – to keep specifics to a minimum – the movie’s devilishly slippery zombie film-within-a-film premise is gamely established. After the chaotically rough-hewn and wonderfully funny opening undead one-r is done with, Ueda hurtles the audience back in time for a slightly less-engaging second act which more-or-less serves as table-setting for the masterful third. Again, without going into too much detail, the final half-hour of the film recontextualises the opening bloody zombie rampage from a slightly different perspective, taking a step back to reveal the truth behind the countless near-misses and idiosyncrasies which likely raised viewers’ eyebrows the first time around. It’s a mind-boggling feat of seamless direction and editing, with the third-act revision of the opening sequence resembling the single-take to an almost headache-inducing degree. However, Ueda understandably ditches the one-r gimmick to instead cut around the various players both center-stage and behind it, to hysterical effect no less. If Ueda’s film isn’t particularly fussed from a visual perspective, it’s clear where the effort has gone, on precise camera movements and, best of all, his spectacularly talented cast. It’s tough to pick a winner from the pack, but the entire ensemble commits fully to their director’s barmy vision, and the wrinkle of having the characters’ actions unfold from a second perspective ensures the wily thrills just keep on coming all the way to the end. At once goofy as hell, brutally “violent” and impressively heartfelt, One Cut of the Dead is an ingenious, chest-thumpingly affectionate tribute to imagination and ideas trumping money.